One student reflects on the trip. The week in Ireland was wonderful and educational! We were able to experience many academic opportunities across the country. 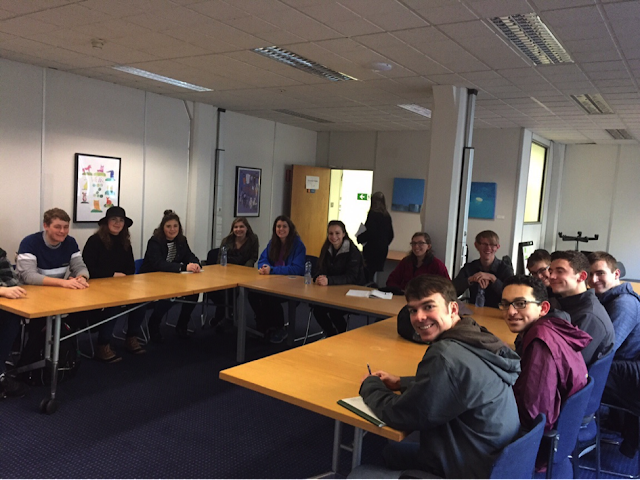 Visiting Medtronic in Galway was one of the main highlights of the trip. The other start-up medical device companies were intriguing and got me excited about the future of biomedical engineering. Also, visiting the University of Limerick and Trinity College provided an interesting perspective on what college abroad would be like. I loved being in the center of Dublin. The architecture represented the history of the city as well as the contemporary city that Dublin is today. The buildings were beautiful and unexpected. On the other side, the countryside was breathtaking. The rolling hills and snowcaps at the top of mountains were truly unique. In Glendalough, we were able to hike and see views of waterfalls, lakes, and mountains. We were able to go to the Cliffs of Moher, Galway, and Doolin. 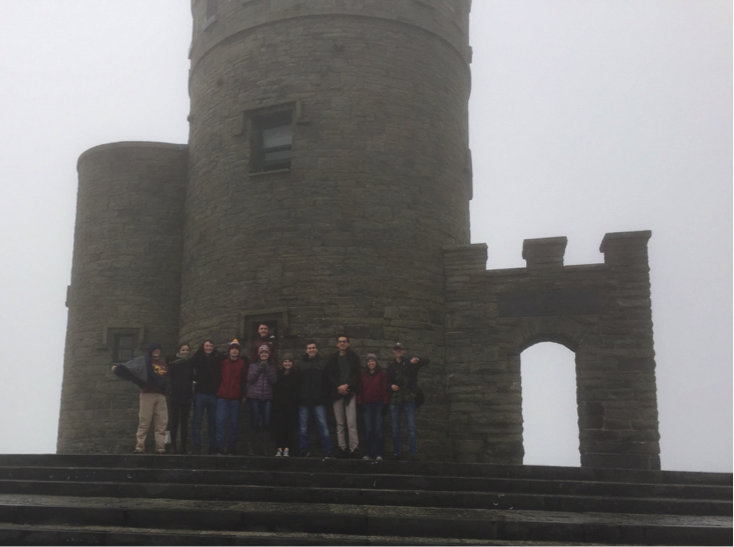 Our bus driver John drove us throughout Ireland and made the study abroad experience better. Also, the tour guides that led our group were experts on Irish history. We were all able to immerse ourselves in Irish culture by going to various pubs, restaurants, and stores. The pubs had musicians who played authentic Irish music on instruments like the violin and the acoustic guitar. One of my favorite songs was Fields of Athenry. 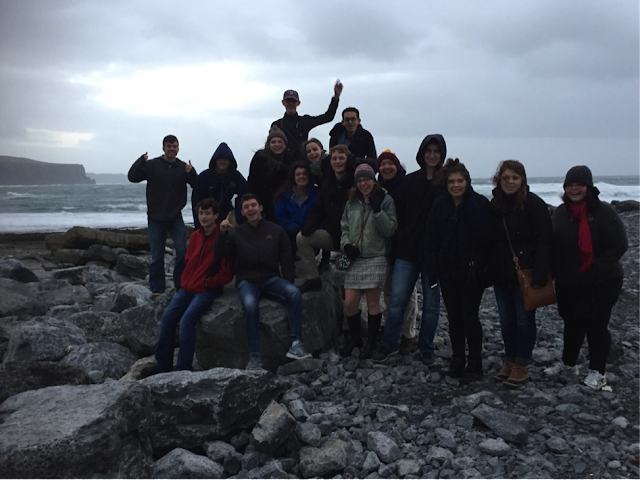 Overall, the study abroad trip was phenomenal, and I would love to spend more time in Ireland!